Emma Christ, center, a Cleveland High School senior, at a rally organized by the Portland Student Union and the Portland Teachers Solidarity Campaign. The rally attracted students, parents and other unions in support of teachers during contract negotiations. Public school teachers in Portland, Ore., and their students are doing a victory lap. 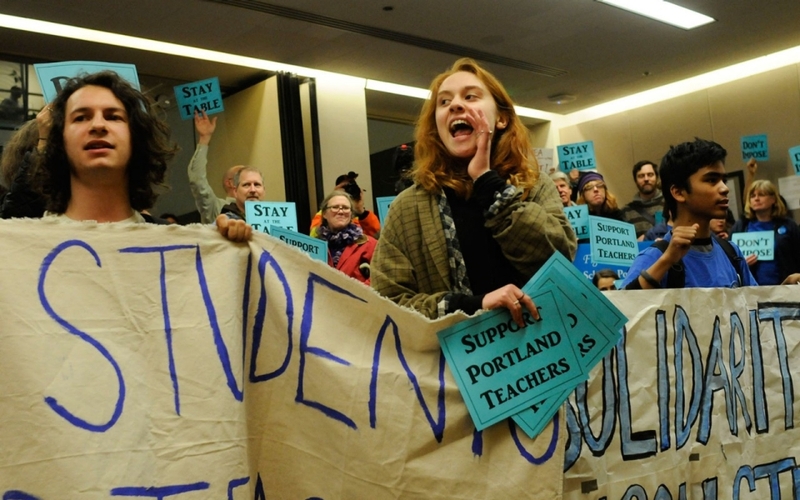 Nearly a year after unveiling a contract proposal that would have put the squeeze on the 2,900-member Portland Association of Teachers (PAT), the Portland School Board on March 3 approved a contract that acceded to virtually every demand from the teachers’ union. The board was acting as a stalking horse for corporate attacks on unions and public education nationwide. It initially wanted to saddle teachers with higher health care costs, fewer retirement benefits, more students and a greater workload in a city where 40 percent of teachers already work more than 50 hours a week (PDF). The board also demanded expansive management rights (PDF) and allegedly wished to link teacher evaluation more closely to standardized testing. The PAT opposed the board, arguing that low-income and minority students would pay the heaviest price as their classes grew larger, more time was devoted to testing and resources for curriculum preparation and teacher development got slashed. The deal is a big victory for the teachers’ union in a state where business interests, led by the Portland Business Alliance, call the shots on education policy. The school board had brought out the big guns, authorizing payments of up to $360,000 to a consultant for contract negotiations and $800,000 to a law firm, despite already having a full-time lawyer on its payroll. But, emulating Chicago teachers who prevailed in an eight-day strike in 2012, the PAT went beyond contract numbers, winning community support by focusing on student needs and rallying to stop school closures in underserved communities. 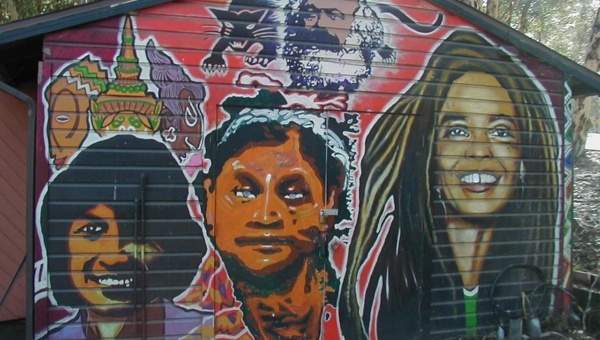 Most significant, the teachers helped expose the role of education reform in gentrifying the city, making it nearly impossible for every neighborhood to have a strong school. 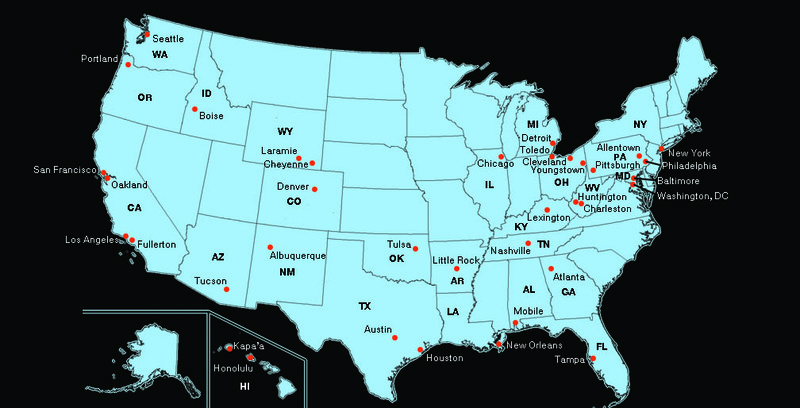 This is a process playing out nationwide, from Los Angeles to Atlanta, Milwaukee to Washington, D.C. But it is particularly striking in Portland, so noted for quirkiness and tolerance it has spawned a hit television show, “Portlandia,” During a public forum on the contract negotiations, one teacher observed that the show was a reflection of how “we march to our own beat in Portland.” This has held true for the teachers’ approach to education. The current fight over public schools began in January 2013 when teachers, parents and students successfully blocked the board from closing or merging half a dozen schools, mainly in the historically African-American neighborhood of Northeast Portland, which had already seen two schools shut down the previous year. This helped to mobilize community support behind a vision of public education that contrasted starkly with the Portland School Board’s ideas. The tussle over teacher contracts has underscored how cozy the board is with corporate interests that promote school ratings, standardized testing and school choice, which allows students to freely transfer to other public schools. Touted as a way to use market forces to improve schools, school choice instead creates a two-tier system. The racial effect of school choice is stark in Northeast Portland, where more than 40 percent of the black population has been pushed out since 2000, and which is 70 percent white today. City documents reveal that more white children in the area opt for charter, magnet and public schools in other parts of the city than attend their assigned neighborhood school. For African-American children, barely one-fourth access those choices. What’s happening in Portland is white flight in reverse. Middle-class families eye Northeast Portland for its undervalued homes but choose different schools because neighborhood ones are pegged as bad. Declining enrollment bleeds money from already underfunded schools, making them less attractive and creating a downward spiral in which the schools are rated as failing, subsequently closed and eventually replaced by charter schools that can cherry-pick students. School choice is layered atop a racialized terrain, allowing middle-class families to profit from lower home prices while avoiding the cost of bad schools. As public schools in Northeast Portland shutter, black households are displaced as redevelopment pushes rents upward. Karen Gibson, a professor of urban studies at Portland State University, analyzes how government policies, banks and developers ghettoized Portland’s blacks. The history of black Portland is one of high unemployment and incarceration rates, toxic land and shoddy housing, institutionalized segregation and redlining practices, poor schools, minimal social services and overpolicing. Gibson wrote that for 40 years blacks were subjected to “predatory and exploitative lending practices by speculators, slumlords, bankers and real estate agents,” being denied routine mortgage and rehab loans or the ability to move to other neighborhoods. When Northeast Portland was slated for rehabilitation in the ’90s, government assistance, bank mortgages and business opportunities flowed to whites, while black homeowners, often not realizing how much their homes had appreciated, took below-market cash offers from speculators. For the two-thirds of black households who don’t own homes (as opposed to the 57 percent of white households who do), rising rents hit harder, as their per capita income is barely $16,000, half that of whites. Despite decades of promises to address such displacement, the city has pushed ahead with policies that intensify racial disparities. Most recently it offered a $2.6 million parcel of land for a mere $500,000 to the billionaire-owned Majestic Realty to develop a Trader Joe’s outlet. The deal would have increased displacement without any guarantees for community hiring or affordable housing. After an outcry from the African-American community, Trader Joe’s withdrew from the deal. Ironically, the same cultural wave that has brought “Portlandia” to young audiences has also encouraged more gentrification. The show trades on residents’ obsessive tendencies about food, facial hair, bicycling, dumpster diving — any activity untainted by mass consumer culture. But the quirky authenticity attracts new residents to the city, driving up rents and spreading the hipster culture that has colonized much of New York City, Seattle, the San Francisco Bay Area and other places. In its wake it leaves its own form of homogenization: new residents who are largely white and wealthy. In fact, standardized test scores mainly measure income and race. Students from wealthier and whiter neighborhoods score higher on the tests than students in low-income black areas. Portland schools use parent-led foundations to fundraise. In wealthier neighborhoods those efforts can translate to hundreds of thousands of dollars a year to pay for support staff, technology, arts classes and electives lacking at schools like Jefferson. By the time the two sides struck a deal on Feb. 18, the school board had conceded (PDF) nearly every demand of the PAT, agreeing to hire more than 150 teachers to reduce class size, minimize changes to health care and bump pay by a modest 2.3 percent per year. Many of the concessions directly affect the learning process: The board backtracked on demands to lift the cap on how many students a teacher can have at one time and decrease the amount of time for lesson planning in elementary schools, and it agreed to allow teachers more leeway in tailoring instruction methods to the needs of students. The success of Portland teachers in fighting off misguided educational policies could help counter the swelling inequality that is pulverizing the city’s neighborhoods. More important, by advocating for high-quality public education for all children as the building block of stable communities, the teachers have shown how to fight corporate-driven gentrification and education reform at the same time, regardless of the city.